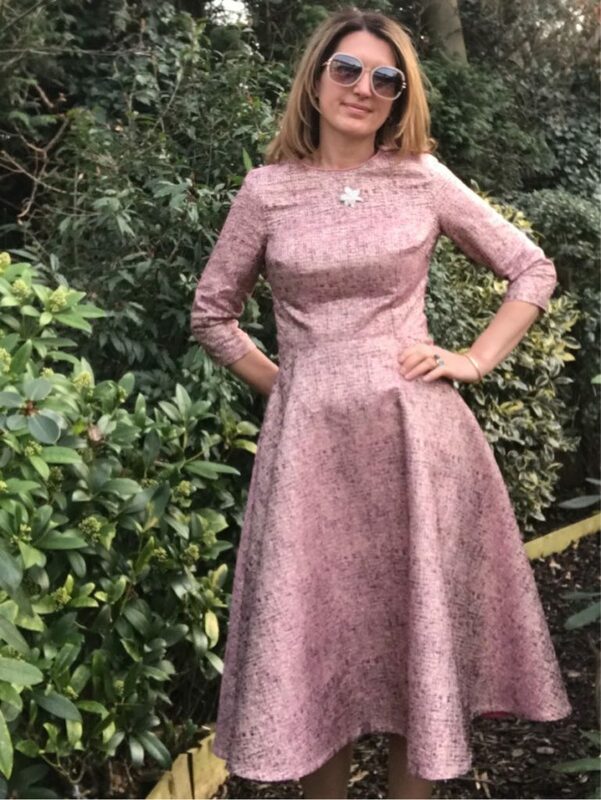 Let’s take a little break from fruits as I introduce you to my latest handsewn dress: pink and sparkly, with a fitted bodice, a circle skirt and piping at the neckline, I think it definitely gathers all my favourite attributes! Although my fruit fabric addiction is still going strong (see here and here for more on this), I recently discovered this fabric on the Croftmill website and fell in love. But the price was quite hefty and my new resolution is to now order samples prior to any bulk internet orders. So I was patient indeed, ordered my sample, was convinced I had to have a dress in that fabric and ordered 2.5m. The fabric is quite similar to a brocade but with much denser threading, so it does not fray as much – it definitely feels very high quality. 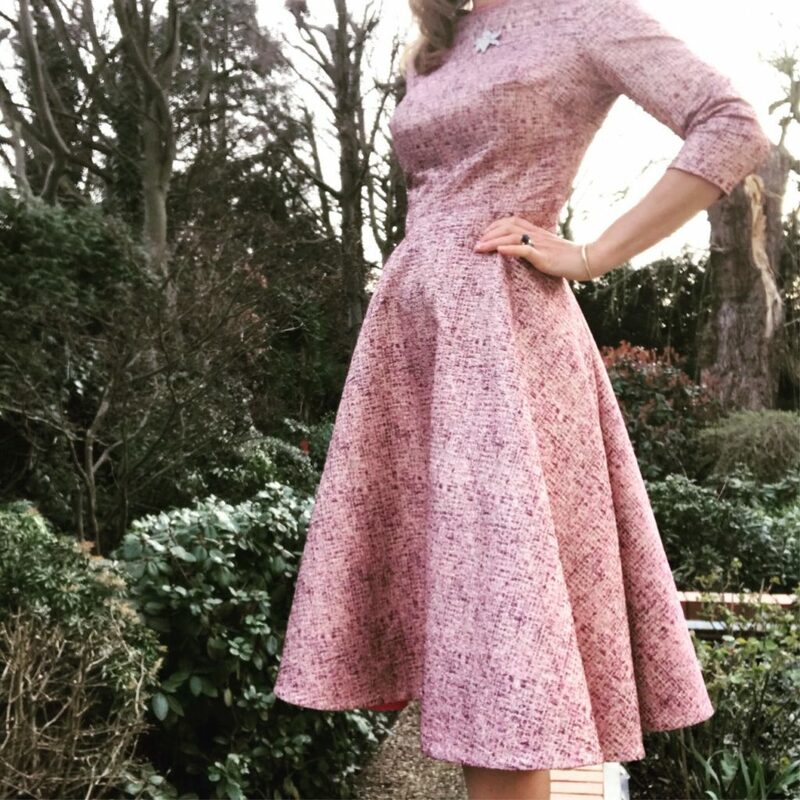 There is quite a lot of metallic thread so it is definitely very itchy against bare skin – hence full lining and piping at the neckline are absolutely necessary for a dress!!! Having recently worked-out my perfect bodice pattern, which is basically a modified version the V8630 as I explained here, I did not look any further: I just reused the bodice of my lemon dress without any modification. 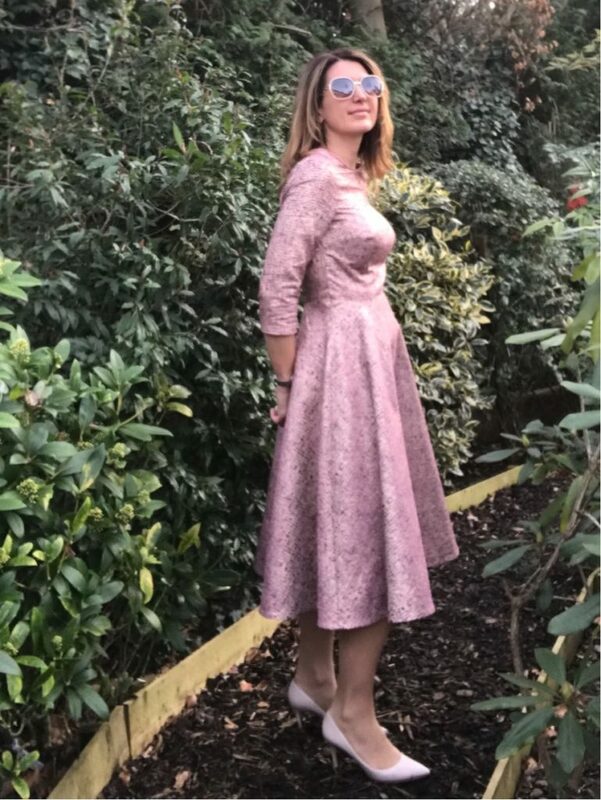 I added a half-circle skirt (about 75cm long to make it midi lenght), pink piping at the neckline to avoid contact of the fabric with my skin… and obviously full lining, because it is so much to make the same dress again and again and again… especially a lining dress you cannot see… Oh well! And I absolutely love this dress! One of my most expensive dresses fabric-wise but so totally worth it! 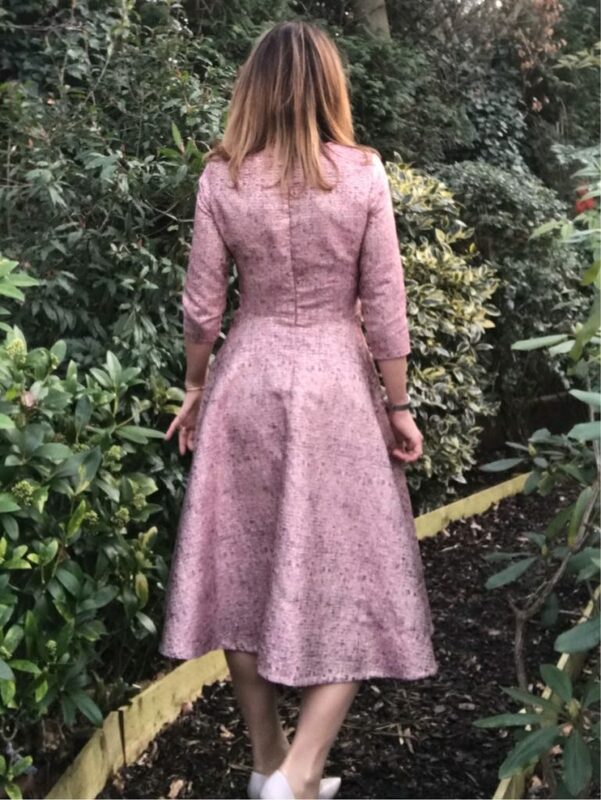 Pattern: Vogue 8630 for the bodice, modified by raising the neckline and adding two shoulder darts; and removing the very large collar obviously! 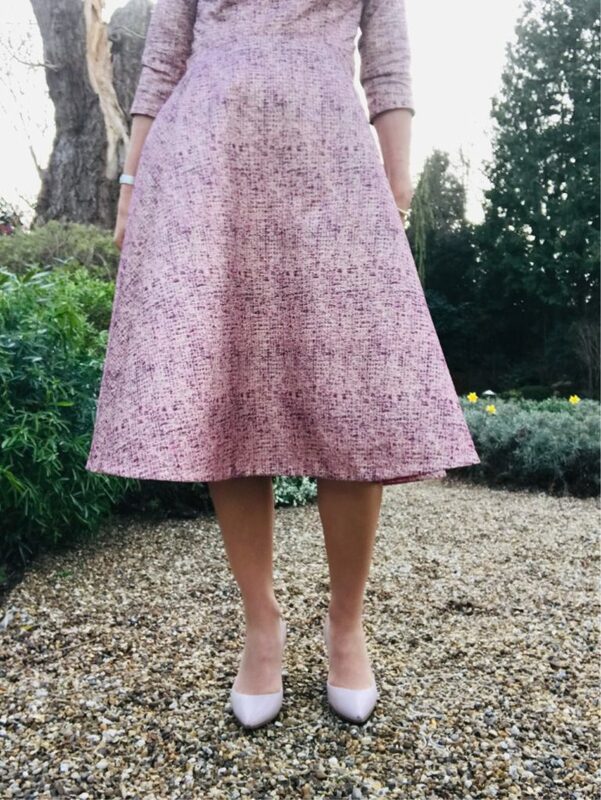 The skirt is a half-circle one, from my trierd and tested self-drafted pattern (based on an internet tutorial, there are many as circle skirts are easy-peasy), 75cm long. I fully lined the dress. 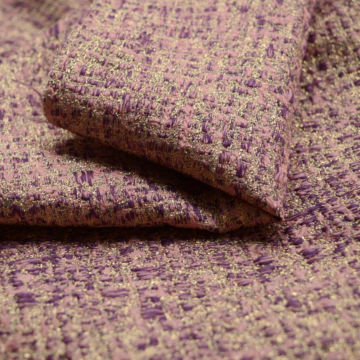 Fabric: absolutely amazing pink brocade fabric from Croftmill, with high fiber density and a lot of metallic thread – beautiful but very itchy. The dress is fully lined with plain pink lining fron Croftmill too – very affordable and very good quality. Sewing level: V8630 is completely manageable for a motivated beginner, so if you want to keep the same bodice without adjustment and add a circle or pleated skirt it is easy-peasy. 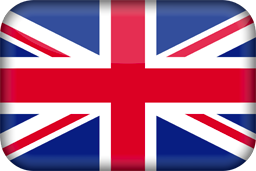 Modifying the pattern like I did requires a bit more experience of course, but it iscompletely worth trying! 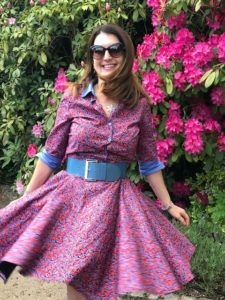 Love level: I LOVE LOVE LOVE this dress; however the fabric is stiffer than my latest cotton sateen makes, so I will probably wear it a bit less often than these.